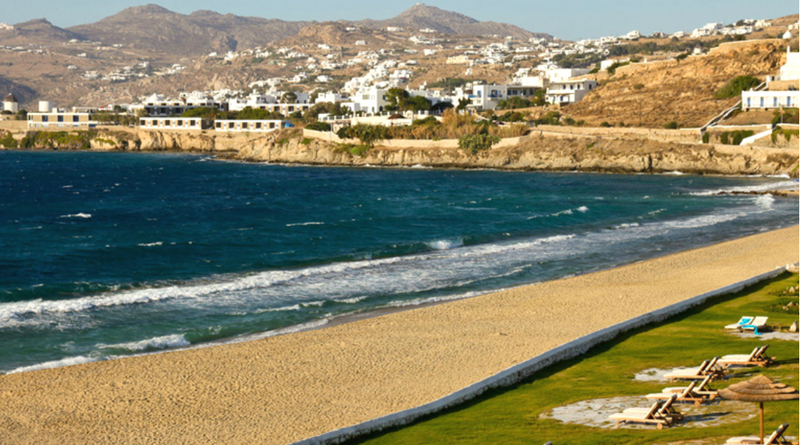 Megali Ammos is the closest beach to Mykonos town, located at a walking distance of 600m. Its name means large sand and it receives only a few visitors because it is located really close to the main street. There are few hotels and a small tavern just a few meters from the seashore. There are no umbrellas because of the strong winds and it is a beach suggested for walks along the shore and relax on the sand.